As pet parents we understand that it breaks your heart to leave your pet and go out of town. But when you get a great boarding place for your pets, it takes away the tension. The Bark Club, Mumbai, is one such place where you can leave your pets and be assured they’ll be happy! 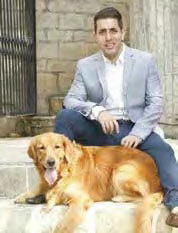 The Bark Club is South Mumbai’s state-of-the-art pet boarding facility. Built over a sprawling 2,200 sq ft area, it is a revolutionary space, equipped with glass kennels, air conditioning, CCTV access and monitoring, swimming pools, 24 hour on call vets, and other cutting edge facilities to ensure maximum safety and a homelike environment for your pets. Once the pet parents leave their pets with us, we take complete care of them. Their daily routine starts with breakfast from 8-10 am, followed by a session of fun and play in our 2500 sq ft play area. Full care is taken of their sleep, nutrition & exercise needs. The anti-bacterial and anti-fungal flooring prevents any form of infection and helps to maintain utmost levels of hygiene, as your baby’s health is our topmost priority. What are the things that a pet parent should take care when they get a pet to The Bark Club? Pet parent should ensure an active spot and all vaccinations up to date. What are the things a pet parent should consider while selecting a boarding? The first thing a pet parent should consider before finalising a pet boarding is the hygiene and cleanliness standards, followed by the food provided and the friendliness of the staff with the pets. While you enjoy your vacation or work trip, you can leave your darlings, guilt and worry free, in the safe and welcoming care of our expertly trained technicians at The Bark Club. The swimming pool facility and the grooming facility can be availed by any pet at any time. Pet parents and their furry buddies can by prior appointment avail the swimming pool facility and we also host various birthday parties for them. 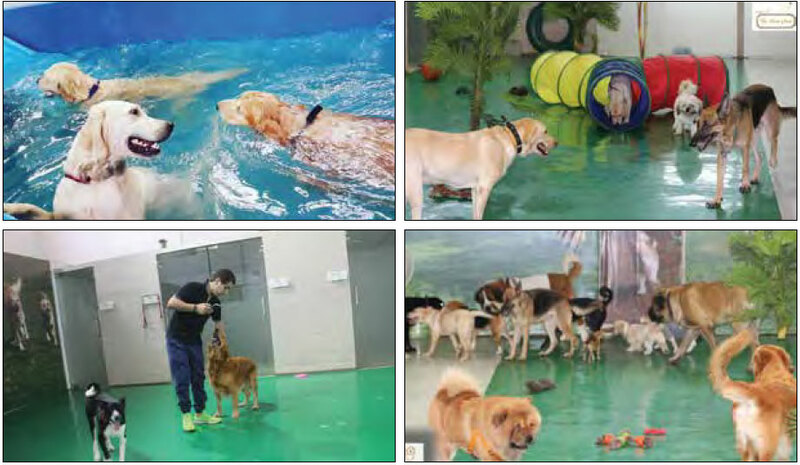 Other facilities at The Bark Club include air-conditioned room, activity sessions, cool bed, cooling bowls, daily updates, drinking water fountain, friends & family visits, hydrate filtration water bowl, trackers, television set, video calling, vet on call and 24×7 web camera access.